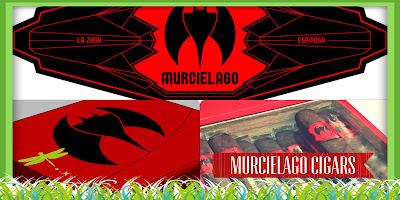 When Erik Espinosa and Eddie Ortega owned United Tobacco/EO Brands in 2009, they worked with the Garcia Family to create the Murcielago cigar brand. Unfortunately, the brand didn’t last. Espinosa and Ortega split and the Garcia family was left with the blend. Espinosa was given rights to the Murcielago name, but couldn’t continue to make the cigars without having the blend. Espinosa didn’t forget about the Murcielago Cigars brand. He worked with a former employee of the Garcia family named Amilcar Perez-Castro. Perez-Castro had worked at the My Father Factory when the brand was originally produced, and used his knowledge to reverse engineer the Murcielago Cigars blend. At the 2015 IPCPR Trade Show, Espinosa Cigars debuted the new Murcielago cigar. It has a new packaging a presentation, but not much else has changed. It has a Mexican San Andres wrapper with binders and fillers from Nicaragua, just like the original. However, unlike the original it only comes in three sizes. You can buy Murcielago cigars in boxes of 20 in Noir, La Lune or Nocturne sizes. Cuenca Cigars has them for the best online prices.